Another common joke. This comes out of the stoner culture and takes a page from the 5 PM drinking rule. You hear people often say it’s 5 o’clock somewhere drink up. 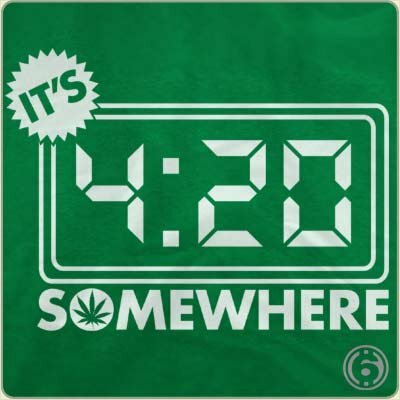 The pot smokers are clever and use 4:20 as the time, ‘cuz you know that’s the police code for possession of marijuana. Get it?